I love the smell of coffee beans! Their rich, deep, flavorful scent makes them such a perfect sensory material. 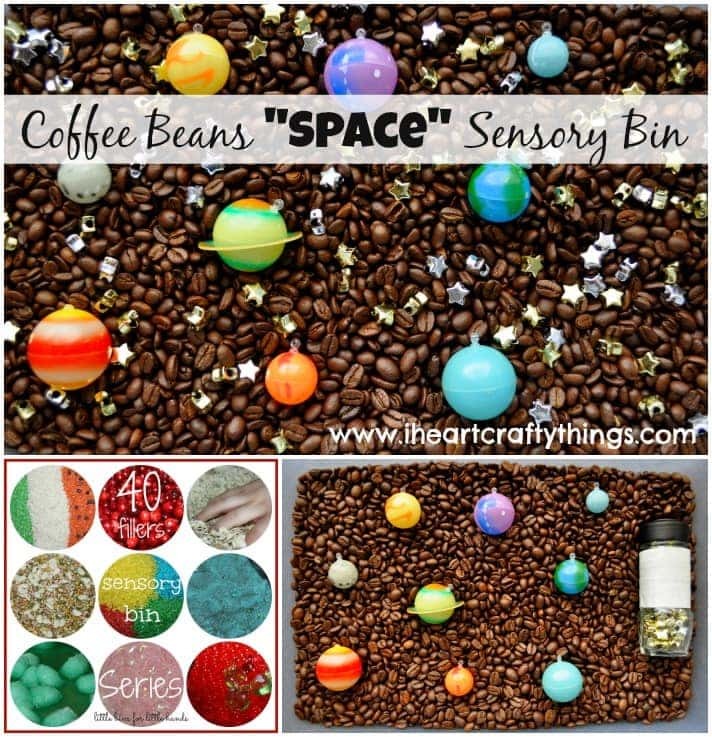 Something about their dark brown color reminded me of the darkness of Outer Space so I rolled with that idea and as my contribution to the 40 Days of Sensory Bins Series at Little Bins for Little Hands I made this Coffee Beans Space Sensory Bin. 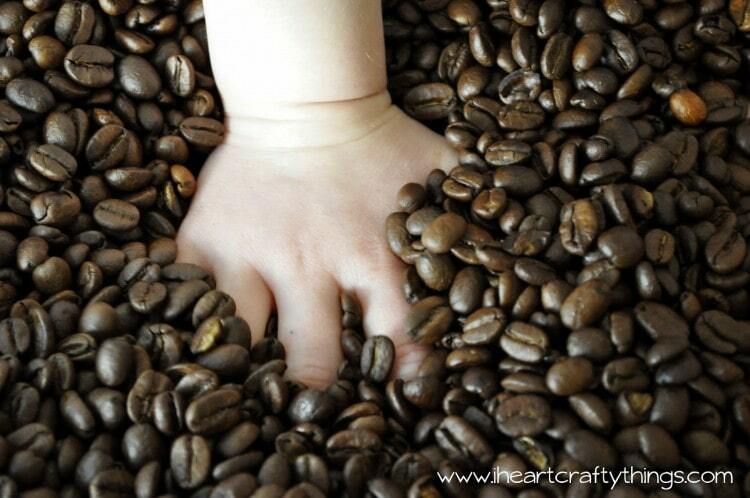 The scent of the beans create an experience all in itself, but they feel so silky smooth to the touch and are such a fun material for little ones to immerse their hands in and feel through their fingers. 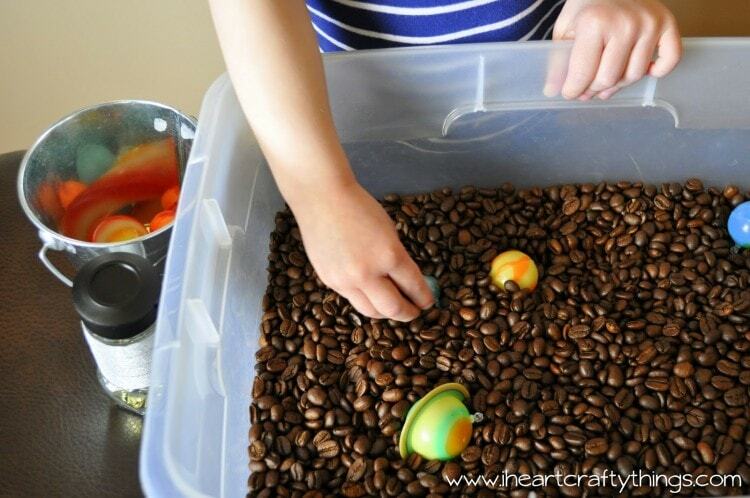 There are a couple of different ways you can set up the sensory bin which is all dependent on your own child, what they like and how they respond best to sensory play. You can start out with all the planets and stars already in the bin and just let your child explore the materials that way. Or, in our case, I left the planets out of the bin in a separate bucket and gave her the opportunity to place the planets and stars in the bin herself to create her own Solar System. 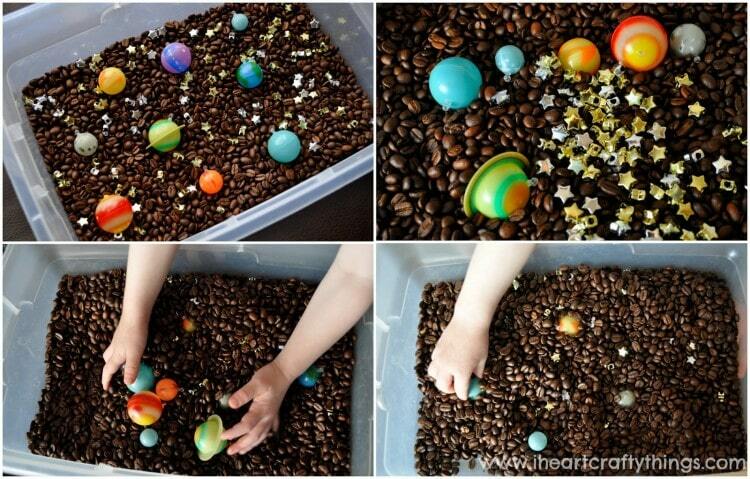 After she was finished placing all of her planets in the coffee beans, she opened the star container and poured them out all over the bin. I didn’t know what to expect from my daughter at this point, but she actually put all the planets and stars back in the containers and re-created a scene all over again. 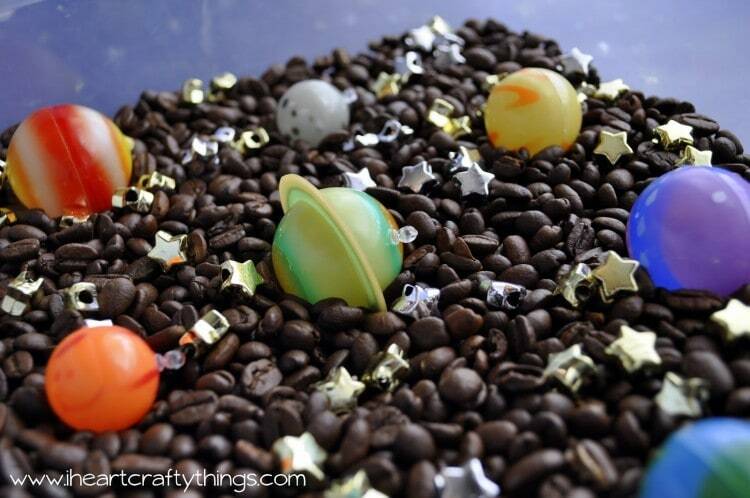 The mixture of coffee beans, bright planets and sparkly stars is stunning! 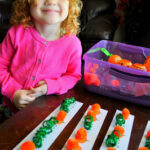 After my daughter made her solar system scene a couple times, she took over in full sensory mode, mixing and folding together all the materials with her hands. 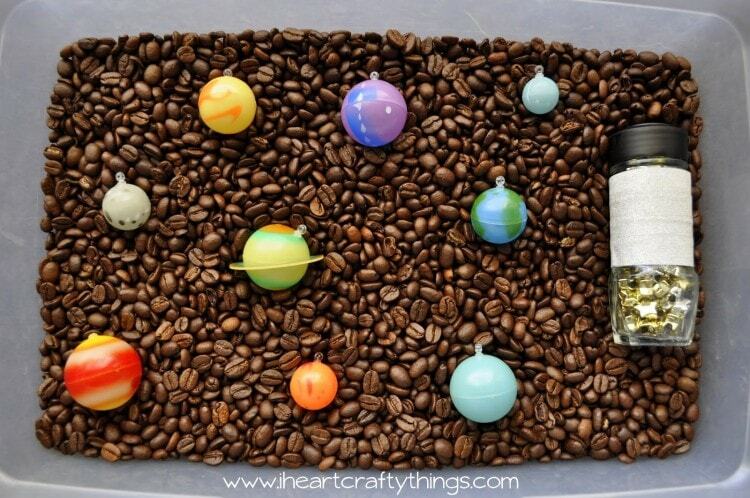 She even made up her own game of “Hide the Planets” in the coffee beans. 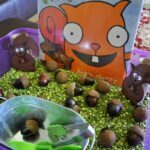 My whole house smelled heavenly from this sensory bin! In fact, even with the lid closed on this bin, if you open the closet that it’s being stored in right now, you will feel like you just walked into Starbucks. Yum! 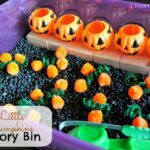 Make sure you follow along the 40 Days of Sensory Bin Fillers Series at Little Bins for Little Hands for more fun ideas and follow the series’ Pinterest Board! 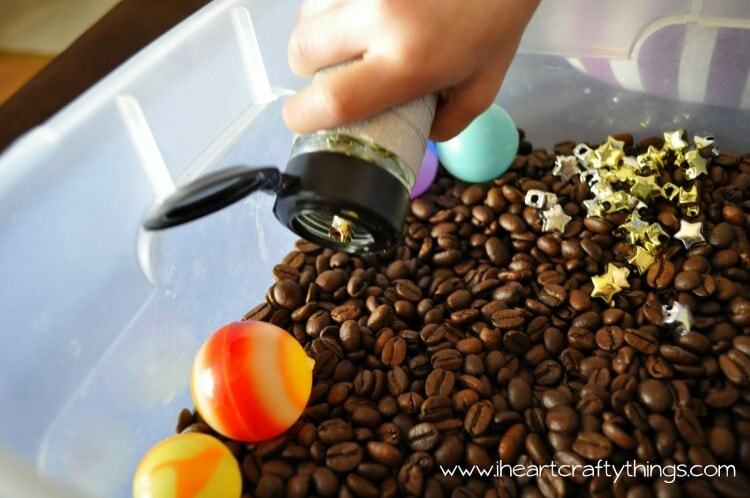 We haven't done coffee yet for sensory play, but I bet it smells wonderful! This looks so awesome! I can't wait to try it! !